Click the button below to add the Acne Clear Facial Day Cream #Acne Facial Day Cream# to your wish list. If you are like most that suffer from acne, you have probably tried all sorts of acne products including perhaps prescriptions. Many of these share side effects that are caused by the harsh ingredients from which they are made of. These include dry skin, peeling, flaking, redness, irritation and in some cases more acne. Our Clear Facial Day Cream does not treat acne. Instead, it helps your skin to heal itself without any harsh acne ingredients. Our Clear Facial Day Cream is made with gentle plant extracts such as Aloe Vera with anti-bacterial essential oils that help soothe and calm your skin for faster results. Enhanced with Andiroba, Foraha, and Neem that help restore balance and allow your skin to heal itself. This cream penetrates deeply without leaving any oily feeling behind, so you can look and feel your best with naturally clear, healthy and blemish-free skin. I have tried everything, including much more expensive acne products. This stuff WORKS!!! Not only has my skin cleared up but it's so much softer. This acne cream made a considerable difference. Thanks. Crafted with ingredients that are rich in nutrients to help restore the balance of your skin. Look and feel your best with naturally bright, healthy and breakout free skin. This is the perfect addition to any skin care routine to help achieve a beautiful, youthful look. Made with ingredients that are anti-bacterial naturally. I honestly am shocked at how well this acne clear skin cream worked for me. It’s a really effective formula. I have tried everything even prescription stuff and this has worked better than everything else. Not at all harsh like most others. Works well without drying out my skin! This stuff is SO good! I put this on after the shower and before bed and it dramatically reduces acne blemishes. I would totally recommend this to anyone struggling with acne. My face feels and looks so much better. I am so thankful for this product and I hope it helps others. This cream is made fresh in the USA. Carried out without alcohol, fragrances, dyes, colors, or sulfates. Soothes red, inflamed or itchy skin and helps protect sensitive skin. 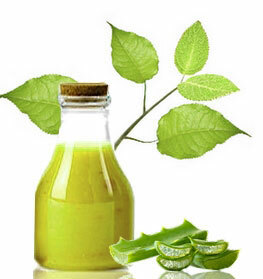 Foraha Oil promotes healing of healthy skin. It is effective against breakouts and works great against scars. Jojoba Oil moisturizes skin and fights fungus and infections. 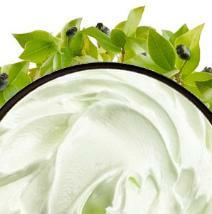 Shea Butter has moisturizing properties that nourish the skin and reduce inflammation. • Can be used with our serums. • This product can be used daily and can be used in the morning and evening. • Use clean hands and towels when dealing with pimple prone skin. Aloe Barbadensis (Aloe Vera Hydrosol), Carapa Guianensis (Andiroba) Oil, Calophyllum Inophyllum (Foraha) Oil, Aleurites Moluccana (Kukui Nut) Oil, Simmondsia Chinensis (Jojoba) Seed Oil, Butyrospermum Parkii (Shea Butter), Azadirachta Indica (Neem) Oil, Cocos Nucifera (Coconut) Oil, Glyceryl Stearate, Glyceryl Caprylate, Sodium Lauroyl Lactylate, Allantoin, Vegetable Cetyl Alcohol, Caprylyl Glycol, Glycerin, Melaleuca Alternifolia (Tea Tree) Leaf Oil, Lavandula Angustifolia (Lavender) Oil, Citrus Sinensis (Orange Peel) Oil, Ocimum Basilicum (Basil) Oil, Pelargonium Graveolens (Rose Geranium) Oil. Unbelievable! I purchased from you about a month ago, and started using it on breakouts that I had all over, the day cream, night treatment and soap are very effective, and got rid of my pimples quickly. Now I am the one who has great things to say about your company, because your products really work. I have been breakouts free for three weeks now, and I can't remember the last time I didn't have any pimples. Thank you guys for this stuff, I just ordered some more to keep for the future, I will never buy anything else again! I have tried many products and prescriptions on my zits over the years with little success, and am delighted to have finally found an cream easy to use which works great! No, it's not a Relief, but has worked wonders in reducing my breakouts and the redness that continues for weeks after the pimple is gone without causing dryness or irritation. A definite keeper! Your day cream and antibacterial serum are incredible! I saw my zits disappear in just a few days, and now, a few months later, my face is no longer red. And my skin feels soft, smooth and firm, and looks great. What a blessing. I wish I found you years ago!! I love your products! I find that they do what they say- very effective and I'm a very satisfied customer. After struggling 6 years with zits, I started to give up on ever seeing my face clear. But, I have just started using the JustNatural products and the results are amazing! The day cream, spot treatment and soap are the only things that have ever worked for me. Thank you for making me feel confident again!Nor walk! Best Cream for Moisturizing zits Prone Skin. I have been looking for a moisturizer that would keep my skin soft and hydrated without being oily. I used a moisturizer that had salicylic acid that made my skin so dry. With this day cream, my skin is hydrated, soft and smooth. I don't get greasy and zits does not form at all. My face is so soft and it helps with my acne! Helps with my oily face as well. My body acne is gone/healed! Love this product! Strong, yet gentle on my sensitive skin! I’ve tried DOZENS of products over the last 15 years and this finally did the job! I didn’t think a natural product would be strong enough to clear my skin, but boy was I wrong! Love it! I will recommend this product to anyone who is fed up with their bad skin condition such as acne. I like how the content in the container is filled all the way up and not half way full. This gives me a reason to buy again. I Haven't Broke Out In So Long! I'm a teenage girl who breaks out from just about anything. My skin is super oily, but the second I use topical creams and prescriptions my skin gets super dry and it hurts. This product saved me from the oily and dry skin cycle I was experiencing. The Clear Facial Day Cream gets rid of my acne almost overnight, without leaving my skin dry and irritated. I will never stop using it! This product is AMAZING for young or adult skin!! !Its is very moisturizing but yet healing.This product actually does what it says it will do! !My daughter and I love it!!! This moisturizer is very light and smells great. It helps keep my dry and oily skin looking better. Clear Facial Day Cream is Lovely! Having frequent acne, but mature skin, is tough. Few products treat acne and moisturize as well as your Clear Day Cream! Thank you for making a product that provides light daily moisture and has the essential oils to keep acne at bay! The cream is light and does not leave a greasy feeling. It does not glog pores or add to the acne issue. It leaves the skin with a soft good feeling. My five teenagers are very happy with this product. I've been using this moisturizer for at least 6 months & I can't go a day without it! The cream is very gentle & makes my face feel super smooth. It has truly transformed my skin. I don't have to wear as much makeup anymore. I use the entire acne care kit as well (face cleanser, toner, night oil treatment & acne polish). I feel so confident now! Thank you!